The beach is one of our favorite places to be during the summer time and when I’m homesick I’ve even been known to bundle the kids and I to visit when snow boots and winter jackets are required. There is almost no where I’d rather be than at the beach, it is so peaceful and the sound of the waves is music to my soul. 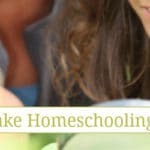 I knew with summer coming that I wanted to focus on the beach for homeschooling because I believe it is one of the most fun studies you can do for homeschooling in the summer. The beach isn’t just a great place to hang out for the day, there are so many things to learn about the beach! 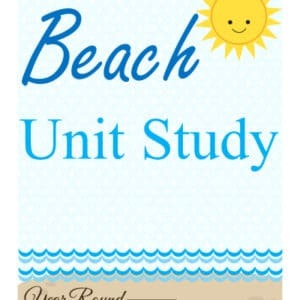 I had a wonderful time putting together this beach unit study for you to use with your kids! Since we are making big changes to our homeschool this year, I’ve changed how I’m putting unit studies together in order for them to fit our homeschool. 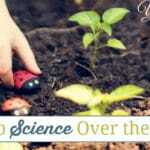 If your children use computers, a Kindle Fire, iPad or a tablet for your homeschooling then you will love this too! If your kids enjoy visiting the beach and you’ve never really learned much about it, take time to learn all about the beach this summer with your kids using this fun unit study. You do not have to pull any additional resources together to learn about the beach this summer, unless you want to! 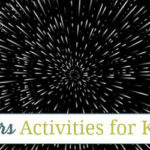 Summertime homeschooling is supposed to be full of fun and this unit study is a great place to start! 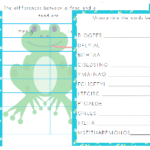 Make your Beach Unit Study more fun using the additional ideas and resources below! What did your kids enjoy learning about the beach most? We love the beach! Even when I don’t mean for it to be a learning day it always turns out to be anyway. Just this past week we went and saw geese with their goslings floating along. This looks like a fun and interesting study. What grade level is it for? Are there any sample pages that can be viewed before purchasing the study? Looking forward to doing this with my kids. Thanks. Thanks for sharing, this is perfect for the summer time!